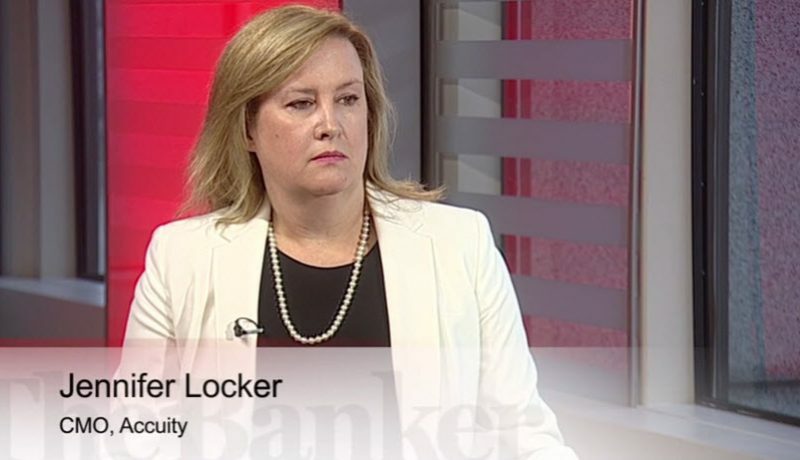 When it comes to payments processing, reference data must be current, confirmed, comprehensive, configurable, and credible to ensure straight through processing success. 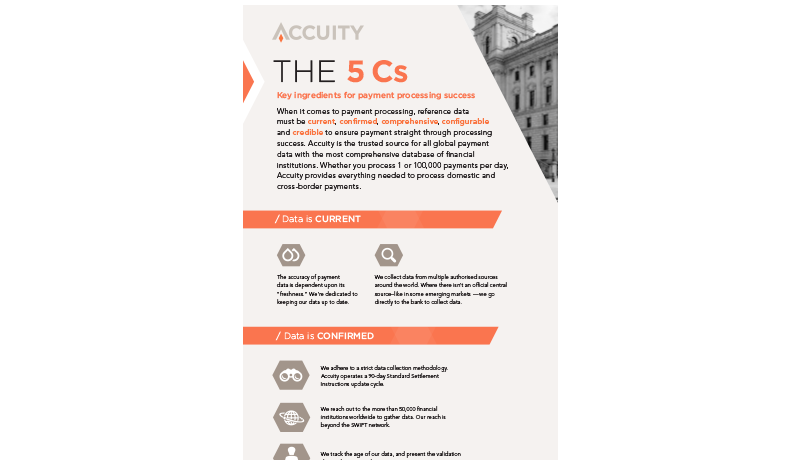 Learn more about why Accuity is the trusted source for everything needed to process domestic and cross-border payments. 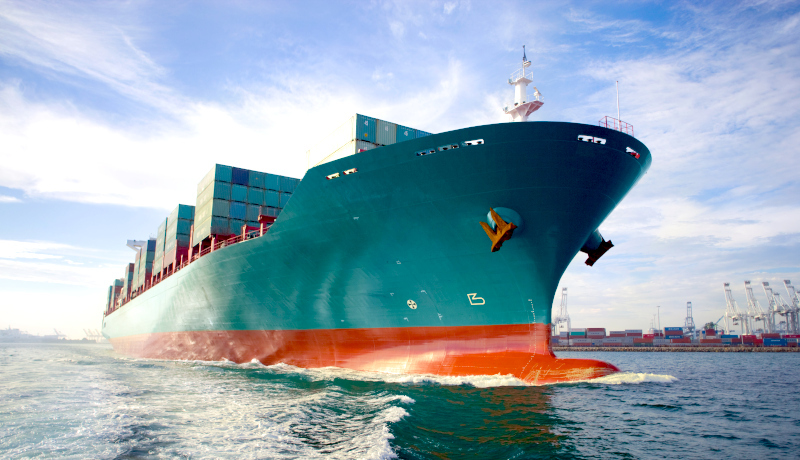 Thank you for your interest in our resources and insights. You can access “The 5 Cs Infographic” by clicking the link below. 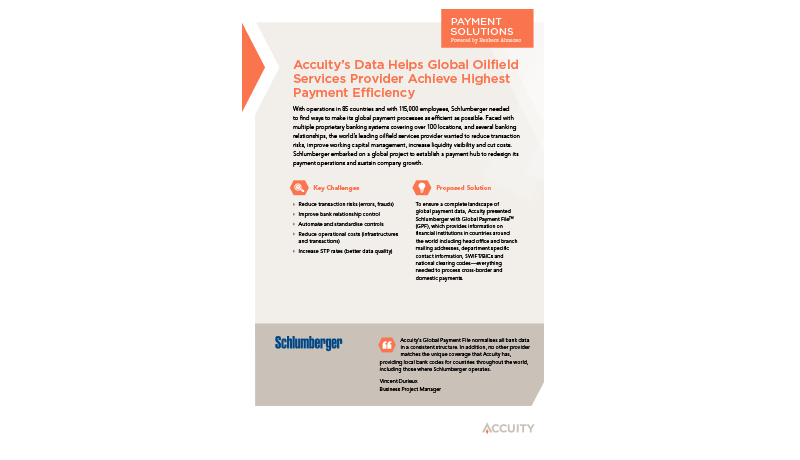 Schlumberger needed to find ways to make its global payment processes as efficient as possible.